Please welcome back Pastor David Boyd! Pastor Boyd accepted a Divine Call at Our Redeemer as an Intentional Interim Pastor in December 2012. He returns to Our Redeemer to help the congregation to progress through a time of transition with a primary objective of assisting the congregation to enhance its ministry and prepare for a continued and growing ministry under the leadership of a full-time settled pastor. 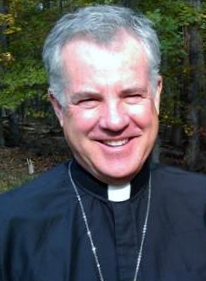 Pastor Boyd previously served twelve different congregations as an Intentional Interim Pastor, the most recent being Trinity Lutheran Church in Keene, New Hampshire. Pastor Boyd and his wife Carolyn have two grown children, each of whom are married, and who together have gifted them with a total of eight lovely grandchildren. Susan Kanakry is the manager of the church office. She helps the Pastor by scheduling appointments, keeping records and typing various communications. She also helps coordinate Divine services by making the bulletins ready and scheduling all the people who assist at services. Susan also helps set up special events such as weddings, funerals and Baptisms to support congregation members. She also must develop and maintain strong relationships with the Pastor, leadership and congregation members and maintain important church records such as the Constitution, By Laws, and historical records. Our Redeemer Evangelical Lutheran Church is a family-oriented congregation comprised of about 350 members representing a wide diversity of ages, from newborns to seniors with a whole lot of people in between. We have many young families with children. 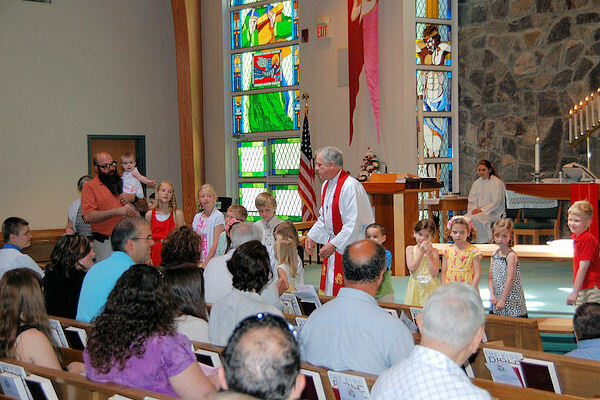 Members of the congregation come from Rhode Island, eastern Connecticut, and nearby Massachusetts. 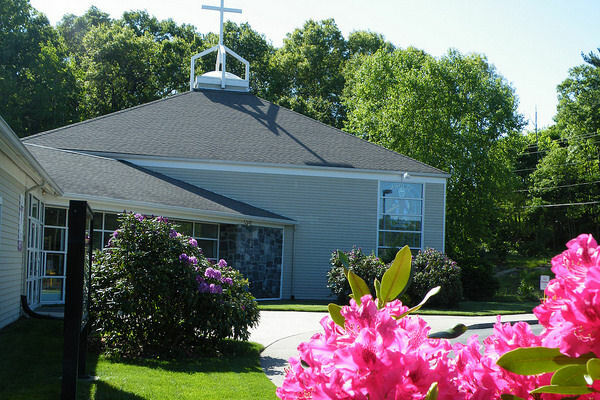 Easy access to the church from Interstate 295, Routes 44, 116, and 101 make this possible. The congregation is comprised of veteran Lutherans, meaning those who have been Lutheran since birth, those from various Protestant backgrounds who have become Lutheran, and a goodly number with Roman Catholic backgrounds who have also undergone instruction to become Lutheran. Membership in our congregation comes in one of several ways. Transfer means that a person becomes a member of our congregation by simply transferring membership from a sister congregation of the Lutheran Church Missouri Synod. This is done when a member moves into our area and requests a letter of transfer from their home congregation. Those from non-Lutheran backgrounds go through adult catechism. Starts the Sunday after Labor Day (Rally Day) and continues to the last Sunday in June. Let's say it again - Visitors are always welcome at Our Redeemer! We're a friendly, warm congregation and we remember that we were all visitors at one time, so we get it! Come and join us, you will not be disappointed. Kids of all ages are welcome to stay throughout the service -- don't sweat it, your baby won't be the only one making a fuss! An encouragement for members and visitors alike. 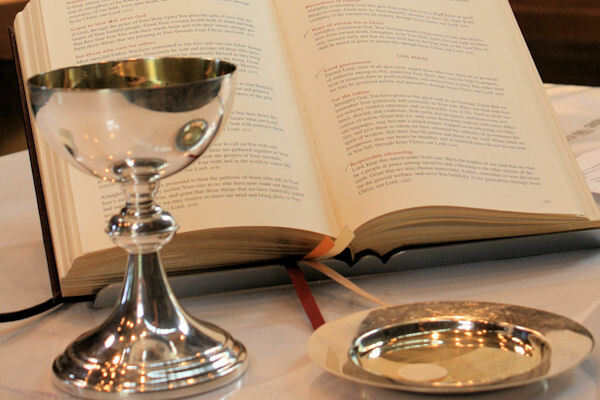 Every Sunday the LORD’S Supper is served during our Worship Service. As the LORD prepares us to receive this gift, we will want to examine and refresh ourselves with what we have been taught from the Word of God.